No one likes to wake up to a bad case of acne or overly-dry skin. It’s difficult to face the day with a glaring pimple or flaky skin. 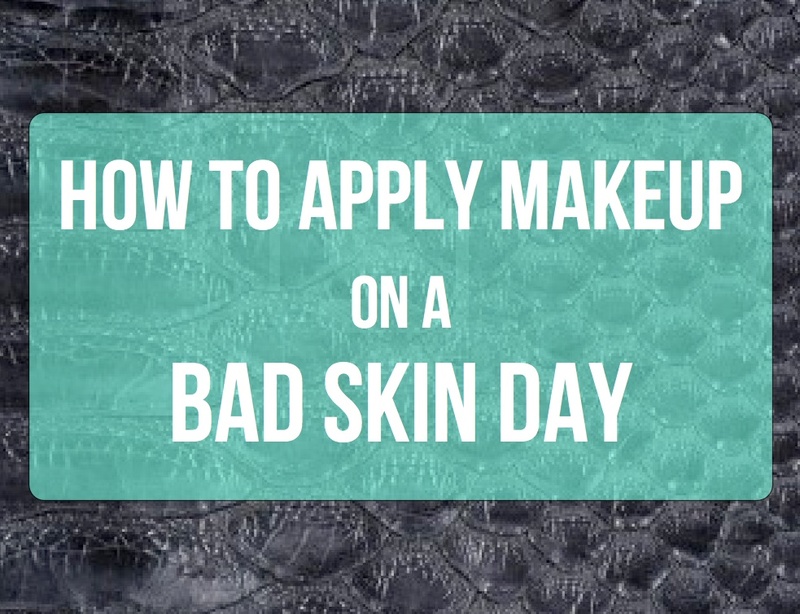 On a bad skin day, makeup can be a lifesaver. Here are the best products to use for both acne-prone skin as well as dry skin. Dealing with acne can be challenging, but with the right makeup routine, it can be concealed and camouflaged. The cause of acne is due to the buildup of oil and congestion in the pores, so it’s extremely important to begin with a properly cleansed face before applying any makeup. 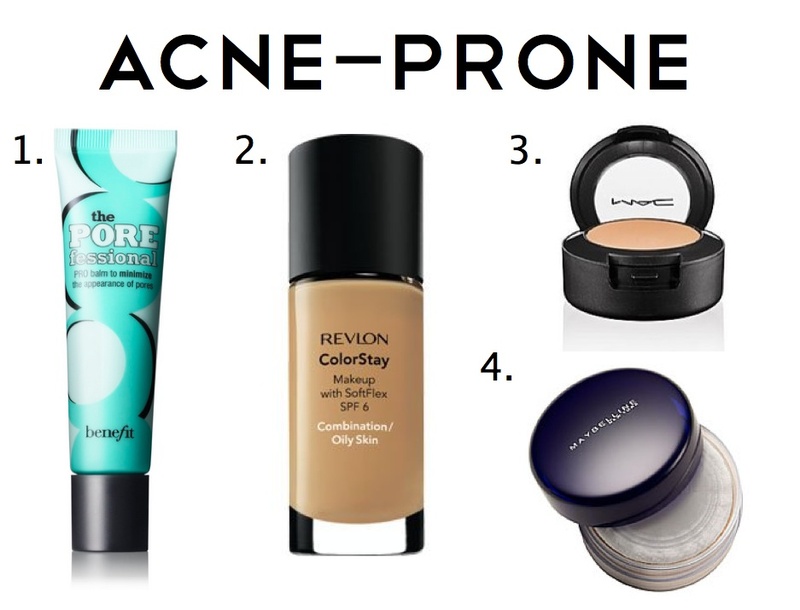 Below are four products to use for acne-prone skin. Start with a primer that can help even out the texture of the skin. This is especially important to help conceal acne scarring, raised acne or blackheads. Choosing a primer that can minimize the appearance of pores as well as smooth the skin can dramatically help the look of foundation when it’s applied. Choose a foundation that will give enough coverage and is designed for combination and oily skin. The correct formulation will help keep oil levels at bay during the day. A full coverage concealer is extremely important when it comes to covering acne. Most concealers with a wand applicator or out of a tube don’t cover acne as well due to their lighter consistency. Pots of concealer tend to have a slightly thicker consistency but still retain their lightweight application on the skin. Use a small detail brush or a finger to apply the concealer on acne or redness. Set the face with a powder to control oil throughout the day. It’s ideal to set a medium-to-full coverage foundation with a translucent powder. 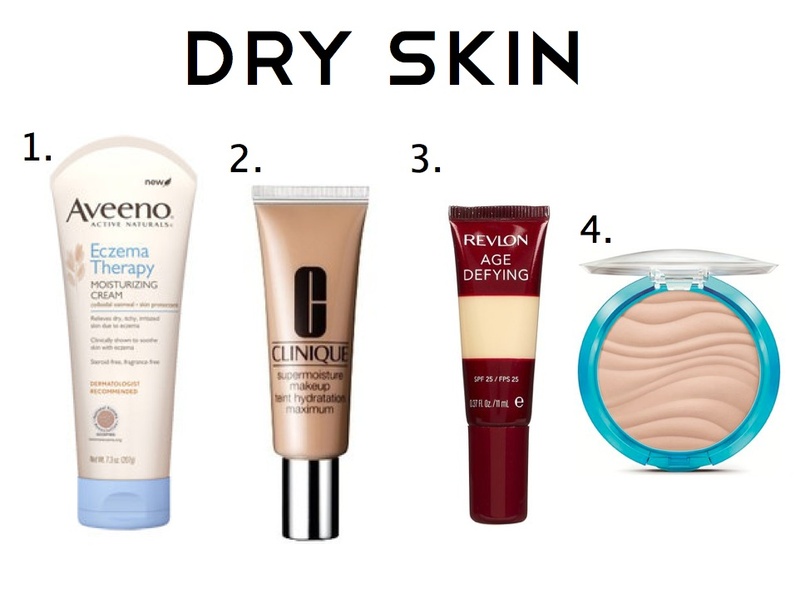 Suffering from dry skin can also be an issue when trying to apply makeup. Eczema or severely dry skin can cause the skin to tighten and become flaky. Adding makeup on top of scaly skin can make it look even worse. Cleansing is also hugely important as well as exfoliation to remove the dead skin cell. Applying a rich moisturizer is key with dry skin. Lotions specifically designed for Eczema or Rosacea can help moisten and calm the skin and can also act as a base for makeup. A hydrating foundation on top of a rich moisturizer will help the skin to retain moisture even more throughout the day. A lightweight formulation with light-to-medium coverage is best for dry skin. If the foundation is too heavy, it can settle even more into the problem areas. The skin right underneath the eyes can be very sensitive and prone to dryness and peeling. Use concealer only where it’s necessary, and be sure to blend it evenly with the foundation. It’s key to seal in the moisture from the lotion and hydrating foundation and concealer. Caking on a heavy powder will just settle into any fine lines or areas of extreme dryness. Instead, apply a talc-free lightweight pressed powder that has pigmentation in it to add coverage and set the makeup. Although makeup can help cover up dry skin or blemishes, it is just as important to cleanse the skin properly. A clean canvas is always the easiest to work with. Also, try not to touch your face throughout the day. Hands carry bacteria that can be transferred onto the face and cause further breakouts or irritation. With a good cleansing routine and makeup regime, a bad skin day can turn into a great one.